Martial Arts Training Shoes are made of lightweight top quality leather. 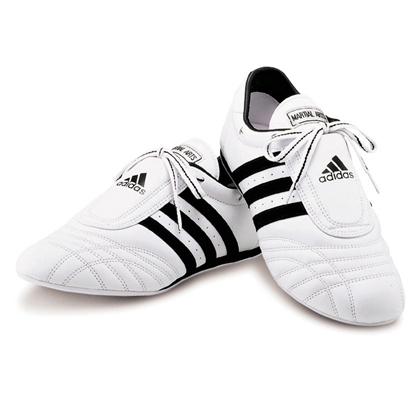 Adidas martial arts shoes are available in white w/ black stripes and logo. Also suitable for refereeing Note: The box will be marked in men's sizes. Women order one size smaller.